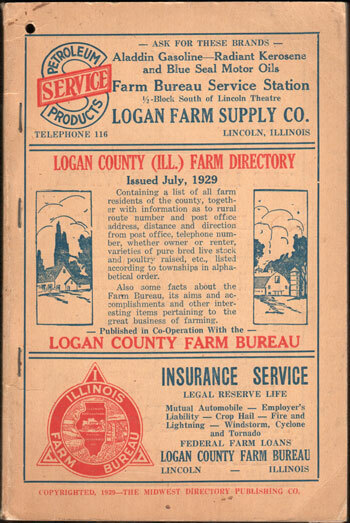 A directory of the farm residents of Logan County, Illinois. Includes name and address. Soft cover, 112 pages. Also includes numerous business ads.